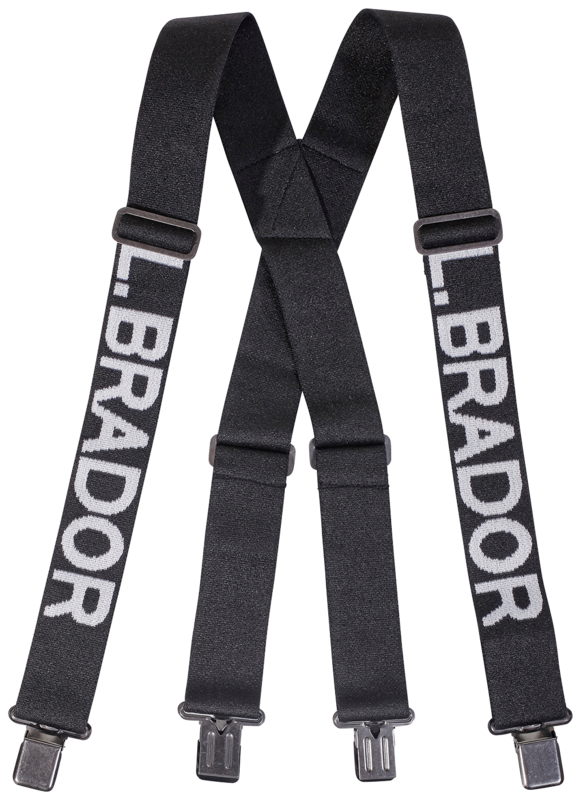 Same ergonomic and sturdy braces as 532PE but with a white L.Brador logo on the front. Extra wide to distribute the load from the straps. The entire braces are elastic (no mute sections) for best movability and comfort. Attached with sturdy metal clips. Adjustment clips in metal. In wide elastic and adjustable at the front for load distribution and best fit. Length up to 140 cm, width 4.5 cm. Material: 67% polyester, 33% elastane.